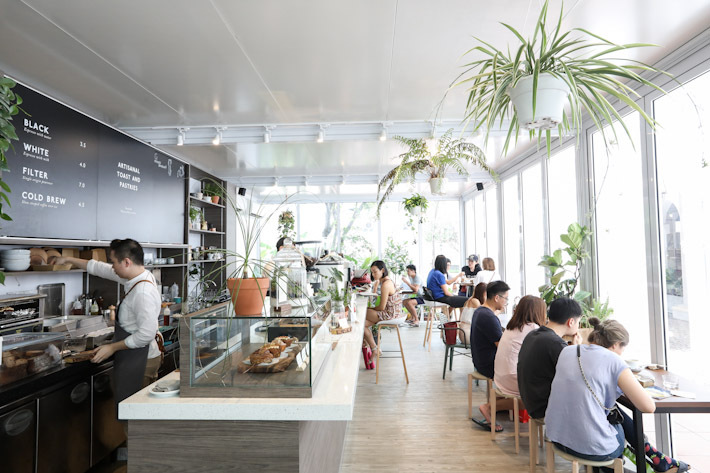 The Glasshouse Specialty Coffee & Toast Bar is a new standalone cafe in CHIJMES that, as its name suggests, serves up a range of speciality coffees from your humble latte to some pretty neat hand-dripped brews to a myriad of hearty toasts. The cafe opened not too long ago and has been a hit among those in search of some respite from the bustling city. Filled with plants, lots of natural sunlight and good vibes, there is no way anyone would doubt this spot as a haven to retreat to for a nice coffee on a lazy afternoon. Start your day right, or end it on a (caffeine) high—it’s up to you. But take it from us, there is probably nowhere in the city that boasts a better ambience than that of The Glasshouse at CHIJMES. Housed in a standalone glass structure that resembles that of a greenhouse, sporting floor-to-ceiling windows and lots of lush greenery, The Glasshouse provides some much-needed respite from the hustle and bustle of city life. It is a haven where one can simply lounge about, sip on a coffee and grab a bite. The Glasshouse menu is a simple one—mainly hot and cold beverages, a few different types of toast and some pastries to go with your coffee. 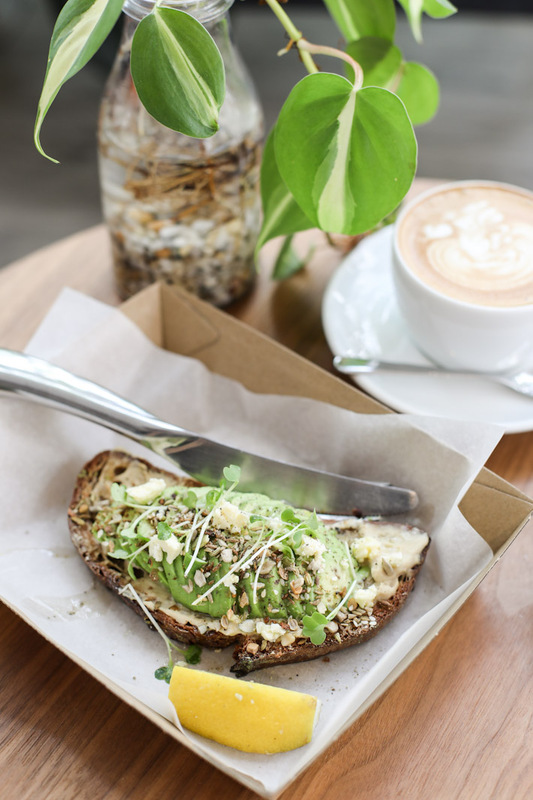 For the avocado fanatics, be sure to try their Avocado Toast (S$7). As humble (and small) as this avocado-on-toast looks, it actually makes for a pretty substantial breakfast given the fair amount of carbs and fats in it. Perhaps one of the more intriguing qualities of this particular item is their use of Dukkah. For the uninitiated, Dukkah is an Egyptian condiment that consists of a mixture of herbs, nuts, and spices. Whether you are an avid cafe hopper, coffee aficionado or simply someone in search of a new hangout spot within the city, we are sure that you will find just what you’re looking for at Glasshouse.